It has all of the hallmarks of the entry into the city of a great leader; a general, fresh from victory in battle, a king returning to his capital. Riding, with the crowds shouting their praises, throwing down their cloaks, waving their branches. We often make much mileage out of Jesus riding in on a donkey, as if this were some mark of great humility, but to ride, even on a donkey, while others walked was to claim a place of honour. And I wonder if you noticed that Luke doesn’t speak of a donkey, but of a colt, never before ridden. Actually, Luke doesn’t mention palm branches, either. 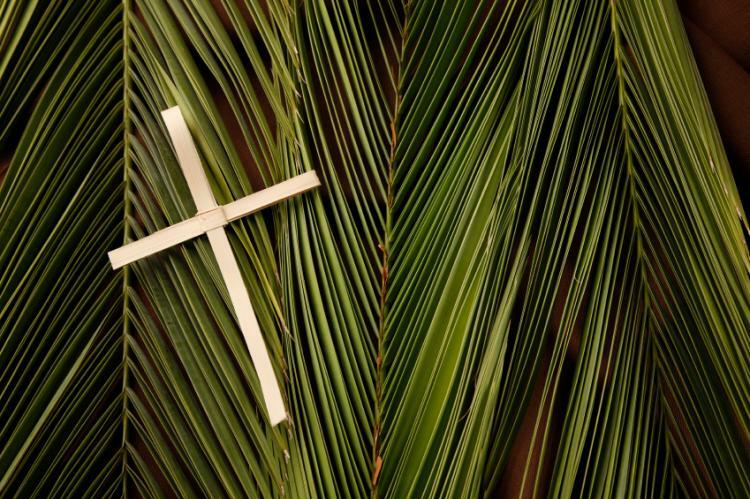 We get that from Matthew’s telling of the story – perhaps, because Matthew knew that his Jewish audience would get the significance of palm branches, the traditional festive procession of the great Jewish kings of their history, their cultural memory. Accepting the blanket of cloaks to sit on and to ride over, accepting the cries of the crowd declaring him to be the coming king – defending those who praise him from the criticism of the Pharisees and even claiming that the stones themselves would cry out if more voices were needed. This is not a simple story of humility. This is a claim of authority. Meanwhile, on the other side of the city, it’s likely that another triumphal entry was taking place. For it was the custom of Pontius Pilate to enter the city of Jerusalem on the first day of the great festival of Passover. Passover was more than a religious feast. The Exodus, which it commemorated, was remembered as the time in the history of the people when God set them free from slavery in Egypt, and many in Israel in the day of Jesus were looking for God to do the same again; to free the people from the power and oppression of Rome. So at the start of the festival Pontius Pilate, the governor, a man not known for his lightness of touch or subtlety in the application of violence would enter the city in parade, accompanied by Roman cavalry and centurions, in a deliberate display of military might – a highly visible reminder to the reality of the power of Rome. The King who comes ‘in the name of the Lord’ and the King who comes in the name of Rome, in the name of the emperor Tiberius, who was himself revered as divine. As every Jew who could make it gathered in the city for the great festival they are presented with a choice. Which King and God are they going to rally around? Which King and which God are they going to follow? And at first it seems like they have chosen Jesus. They crowd around him, they shout their praise, they throw down their cloaks and their palm branches, and declare him to be their king. But we know that that isn’t the way the story unfolds in the coming days. For when it comes to the crunch, just a few days later, there is no popular uprising, no overthrow of those Roman centurions and cavalry. The people were ready to follow Jesus in rebellion; they were ready to rise as they had before, in the days of Judas Maccabeus, and kick the Romans out of the holy city. They had done it before, and they would do it again. But Jesus never gave them the lead. The only time a follower of his draw a sword and struck a blow, Jesus healed the man he struck out against. Jesus’ revolution wasn’t the one they were looking for. The king they wanted wasn’t on offer. The King they wanted was one who would take on Rome at their own game, and just play it better than the Romans. Just as the people of Israel had long ago in their history – when led by ad-hoc judges and prophets, they demanded “give us a king like the other nations have”. They wanted their leaders to be like the leaders of the other nations, with just two differences – firstly, that they were ours, not theirs, and secondly that they were better. It’s still the prevailing wisdom of the world, the plot of so many Hollywood blockbusters – that the way to make the world better is for the good guys be better at fighting than the bad guys. Where the ‘good’ and ‘bad’, of course, just means ‘like us’ and ‘different to us’. It’s the myth of redemptive violence – the story that says the world can be saved through acts of virtuous violence. Whether that violence be the overt violence of drone strikes or military interventions or the subtle violence of mandatory detention and border walls. It’s the NRA’s motto – the only thing that can stop a bad guy with a gun is a good guy with a gun. The way of God revealed in Jesus was not a way to be better at fighting your enemies, but by excelling at loving them. Not better at finding ways to exclude, ways to whip up fear or hatred of the other, but by being radical in inclusion of those who look, or speak, or worship, or love differently. By turning the other check, walking the extra mile, loving the enemy. Jesus claimed authority as he rode into the city. He chose to enter the city in the way he did. He arranged for the colt to be brought for him to ride, he allowed, or even encouraged, the crowds to shout his praise, to shout their ‘Hosanna’s, to call out to him as the coming King. It was an open act of defiance, a deliberate challenge to the authority of Pilate. But it was an authority that came not from the use of force, power or might, but from the refusal to use them. An authority not of swords or cavalry or centurions, but from a willingness to love whatever the consequences might be. An authority that came not from the might of Rome, but from the only force that can ultimately drive out darkness, replace fear with hope, anger with peace. The authority that comes from living in the unswerving, unconditional love of God.